That said, Madrid had a series of chances that they just couldn't convert. 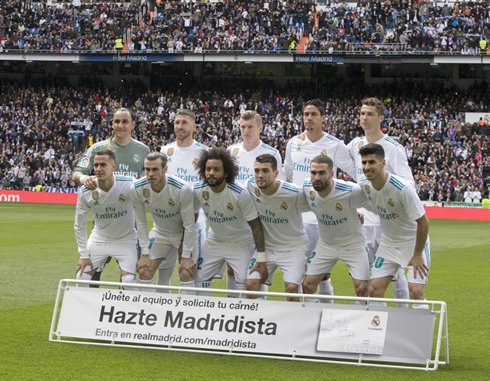 Both Marcelo and Asensio hit the woodwork and countless other chances were either blocked at the last minute or foiled by Jan Oblak at the last moment. Real Madrid started the match well and looked lively, but Simeone's squad is well prepared to absorb pressure. Benzema, Isco, and Modric started on the bench as Ronaldo and Bale started up top. Unfortunately, this lead to a lot of the issues that plagued the team early in the season, namely a lack of inventiveness in the attack. Cross after cross after cross was cut out by Madrid's rivals as Godin, in particular, did a great job. 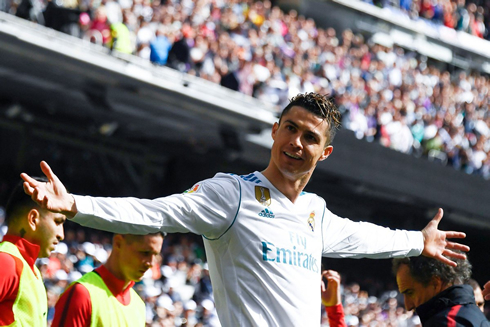 Ronaldo's goal, however, was fantastic. 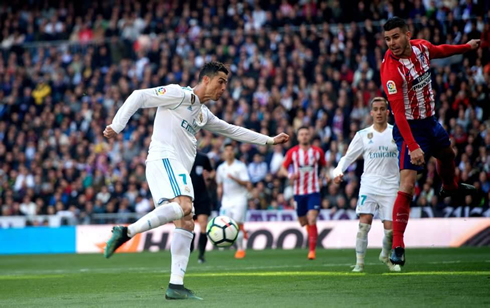 A cross from Bale perfectly found it's way to Ronaldo's right foot and his one time volley, placed perfectly to the right of Oblak made its way into the back of the net. 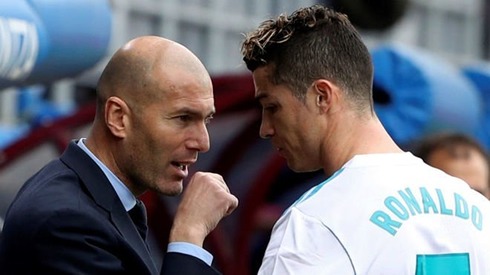 But as soon as he scored, Madrid looked vulnerable and before long, Grizemann was able to capitalize on a bit of confusion at the back to tie the match. Ronaldo was taken off at the 63rd-minute mark, in a move that seemed to shock fans both at home and at the Bernabéu. But it's clear with Madrid so far behind Barcelona in the league, as well as the new Champions League rules stating that the top 4 teams in La Liga will qualify automatically, it made sense. There really wasn't much to play for today, whereas it's all on the line vs Juventus. With Ronaldo off, Madrid really struggled to convert despite a series of close efforts. One wonders if Ronaldo would have gotten on the end of one of those crosses, but alas it would end 1-1. 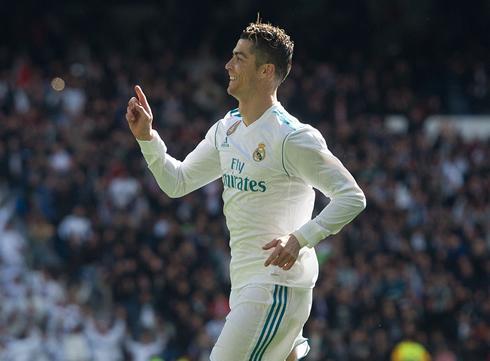 Cristiano Ronaldo next game for Real Madrid is on April 11 of 2018 against Juventus. You can watch Juventus live stream, Real Madrid vs Juventus, AS Roma vs Barcelona, Manchester City vs Liverpool, CSKA vs Moscow, and Bayern Munich vs Sevilla, all matches provided from our live soccer game pages.